Remover for brakes and clutches is a universal product based on an organic solvent, which serves for easy removal of grease, oil and other greasy soils. The measure used for degreasing brake discs, clutches, brake drums, fuel pumps, gear and cleaning the metal parts of the engine. 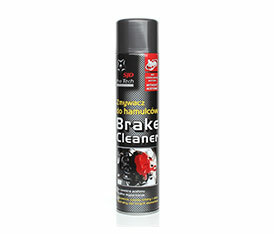 Removes baked and adhering grease, leaving a clean and dry surface. Without acetone.